Posted on February 7, 2015 by Financial Underdog	in Net Worth Update. 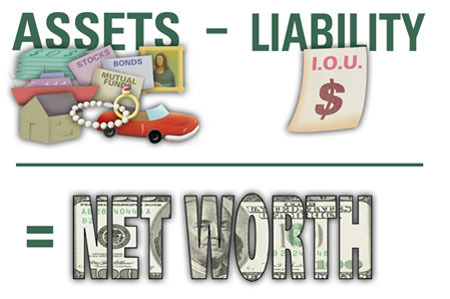 Following example of many personal finance bloggers, I publish our annual net worth update every year. Given my utter laziness and nature of some of our investments, I only do it once a year and don’t see a point of doing it more often. For the most part, I only check our investment balances once a year and don’t sweat monthly changes. The main reasons for publishing net worth update is keeping us on track and somewhat accountable for our actions. For example, I am very opposed to having consumer debt, and I’d like to show that we put our money where our mouth is by not having any. Only major items are included in our calculations. I know some people put everything under the moon in their net worth update including value of coin collections, car values, insurance policies, and spouse’s jewelry. This sounds like way too much work (see my comment on my utter laziness), and these numbers would not be significant anyway. Value of our car almost doubles every time I fill it up with gas, and the only coin collection I have is the spare change stash for an occasional secret trip to Burger King. – We’ve crossed into 300K figure! – Technically, we can pay off our mortgage and be completely debt free if we sell majority of our investments. Cool fact, but we won’t be doing it as the interest rates are super low at the moment. Now, if the rates were to shoot up to 17% percent, it would be a different story. 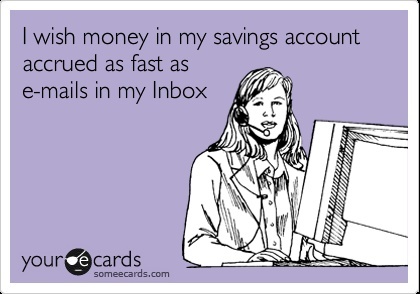 – We’ve started using our RRSP accounts. We have plenty of contribution room, but only now are looking into making RRSP investments. This should provide a healthy refund from the government which we’ll be putting towards investments as well. – This year marks the first time we’ve actually paid more towards principle of our mortgage as opposed to interest ($8,734.99 principal payments vs. $7,845.82 in interest paid). The amount of money going towards interest is still depressing, but at least it’s going down now. Also, our mortgage is up for renewal this year, and we’re hoping to lower our interest rate (currently paying 3.89%). This will increase the amount of money going towards principal even further! – The price of oil has plummeted recently and is staying in the toilet for now. While it does mean Canadians are saving some money at the gas pump, I’m quite concerned over the effect it will have on the Canadian economy and our investments. Personally, I’m somewhat pessimistic on it since our country’s economy is tied to Canadian resources. Given the political nature behind plummeting oil prices (at least it’s my theory), I don’t see them recovering any time soon. – It seems to me that we’ve done a good job on playing defense (cutting expenses and living below our means), but not playing enough offense – increasing our income and growing money through investing. Personally, I think I should be doing more on income-generating side of things. Congrats on 300K. That’s really awesome. I noticed that you have not utilized TFSA fully yet and has a very high balance in your unregistered account. Why is that? I am just curious. I think it has a lot to do with my limited knowledge on RRSP and TFSA and how to actually maximize their potential. While TFSA accounts are great, I’ve never been a big fan of RRSP. But now I see how they can fit into our big picture, and hoping to bring some balance to it. Hi Jim, you are right on many points here wiouhtt more information about how they will be structured it is really hard to assess the value of PRPPs. I think the major issue is whether the program is mandatory for employees or not! The reason why pensions work is because it is a force savings. People have to pay CPP and they don’t even realize the money is gone. Without the PRPP being mandatory there is nothing more here than a group RRSP plan and this will only be one more thing for people to get confused and frustrated over. I guess the only way to avoid that would be to have mandatory education to go with the non-mandatory program. Like I said we need more details!